In addition, the maximum fan speed can be reduced from 1800 to 800rpm. 1 x 120mm PWM Cooling Fan. 1pcs 4 heat pipes Heatsink. Fan Speed: 800-1800( /-10%) RPM. Fan Connector: 4pin connector. Power Input: 1.92W. Mfr Part Number: BK022. Two virtually inaudible Silent Wings PWM fans. Model: 1x Silent Wings 3 120mm PWM, 1x Silent Wings 135mm PWM. Seven high-performance copper heat pipes. Brushed aluminum top cover with diamond cut finish. The T4’s 120mm PWM fan features a wide fan speed range and can be fine tuned for maximum airflow and cooling performance or silent operation. 120mm wide range PWM fan. RPM can be fine tuned for maximum airflow or whisper quiet operation. Part Number 1TD00. Dell Precision T7600. Compatibility Dell Precision T7600. CPU LGA2011 Socket R Heatsink Fan. Heatsink 4 Pin Heatsink. Device Type Heatsink Fan. SAN Storage. RAID Cards. CPU Socket Snap-on fan brackets. 92mm fan for maximized cooling from a copact heatsink. eWiz is your best friend! Product Info. PRODUCT INFO. Product Condition: New. Compact size for increased case and motherboard compatibility. 92mm colorful fan, the outer and inner quiet move to achieve the perfect combination of performance and silent. 1 x LED CPU Heatsink. -AMD 3 /AMD 3 / AMD 2 / AMD 2 / 940 / 939 / 754. Double high tower heat pipe fin assembly designed, superb cooling performance. AMD 3 /AMD 3 / AMD 2 / AMD 2 / 940 / 939 / 754. 1 x LED CPU Heatsink. 1 x Thermal Grease. 6 U-shape sintered powder heatpipes conduct heat from the processor quickly to protect it from overheating &Twin-tower heatsinks give superb cooling performance. 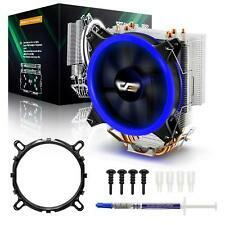 NEW Evercool 95mm CPU Cooling Fan for. LED CPU FAN. • PWM Function Fan for a Silent Operation. DC Fan Size : Φ95mm x 25 mm. Bearing Type : Everlube Bearing Fan Life Expectancy at 25℃40000HR. Fan Speed : 1000 ± 10% ~ 3000 ± 15% RPM. 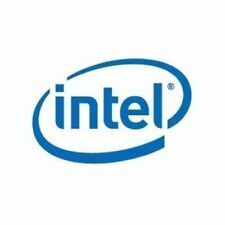 We do believe those are the worthy approaches to shape STARLIT PARTNER your most trusted source of computer products. City of Industry, CA 91748. 901 Canada Court. These were pulled from Hp Z420 Z620 computers and all were tested before removing them. No exceptions. The heat sink has been fully tested and validated by Supermicro to ensure the best quality and cooling performance. From Supermicro's website MANUFACTURER Supermicro. SUPPORTED CPU SOCKET FCLGA2011 (Square and Narrow ILMs). Trending at $26.79eBay determines this price through a machine learned model of the product's sale prices within the last 90 days. 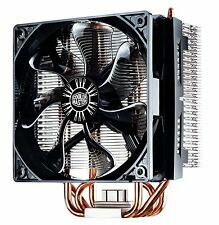 This is a Cooljag JYC1R04ATPG-0 LGA2011 2U CPU Cooler. The cooler is in perfect physical and tested working condition. Price is per cooler with 5 available. Connector: 3 and 4pin connector. Material: Aluminum. Speed: 800-1500 /- 10% RPM. Net Weight: 227g. You may also like. Static Pressure: 2.5mm/H20. 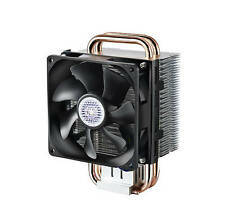 Cooler Master HYPER 212 EVO - CPU Cooler With 120mm PWM Fan. Condition is Used. Shipped with USPS Priority Mail. Precise Air Flow - Stacked fin array ensure least airflow resistance which allows cooler air flow into the heatsink. Snap and Play - Intuitive fan bracket design makes upgrading and removing the fan a breeze. Blue LED halo lighting, charming lighting effect. 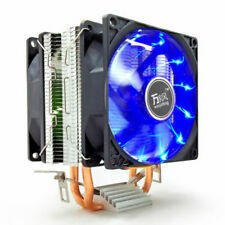 1 x LED Lighting CPU radiator with Fan. GOLDEN FIELD Lighting Ray CPU Cooler. 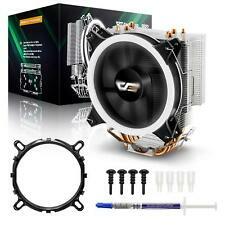 Easy installation, just take a few minutes to mount the cooler to the motherboard with the easy mounting system. FITS SOCKET LGA2011 (NARROW ILM). X9, X10 1U 3GPUs; B9, B10 TwinBlade™ Series Servers. PASSIVE HEATSINK. XEON E5-2600 SERIES. United States will have any and all warranties voided. Only used for a few months, comes from clean smoke free environment adult owned and operated. I made the switch to a liquid cooler and no longer need this. 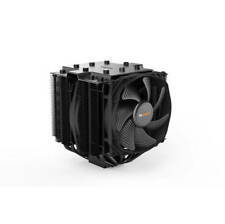 Works wonderfully and is one of the best air coolers on the market for small form factor. 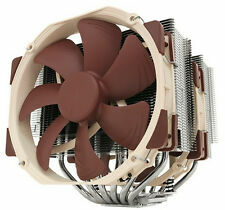 Noctua NH-L9x65 Intel AMD CPU Air Cooler. Condition is Used. Shipped with USPS Priority Mail. Socket LGA2011 Narrow ILM. SUPPORTED CPU SOCKETFCLGA2011 (Narrow ILM). The heat sink has been fully tested and validated to ensure the best quality and cooling performance. 2U Passive CPU Heat Sink. 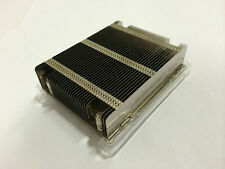 These Dell YH2R3 heatsinks have been removed from working units and further tested out by our techs for functionality. This heatsinks are compatible with but not limited to the Dell Precision: T3610, T3810, T5610, and T5810. We do believe those are the worthy approaches to shape STARLIT PARTNER your most trusted source of computer products. HP Z440 Z640 WORKSTATION CPU HEATSINK FAN ASSEMBLY 749554-001. Condition is Used. Shipped with USPS First Class Package. 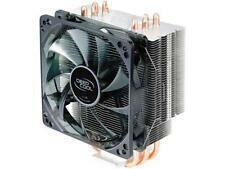 For LGA2011 • Ideal for Peltier Coolers. Very high quality, capable of eliminating up to 200 watts of heat from your CPU / Peltier Chip / LED / whatever you throw at it. Yes, heat pipes are cool, and in principle they can outperform a solid copper block. 70mm x 70mm x 15mm. Connector 4 Pin PWM (12" leads). Notes CPU Style screws included. Airflow 112.5-34.05 CFM. 1500-4000 rpm. DYNATRON LINK LGA 2011 (Narrow Type, 56mm x 95mm Mounting Pitch). 2U Server and Up. Copper Heatsink with Stacked Fins. CPU Support. CPU Socket. At Duty Cycle 100%: 47.5 dBA. At Duty Cycle 50%: 32.9 dBA. This is a used CPU cooler, but works without issue. This sale is for the cooler only, no other components are included. Ultimate Overclocking Thermal Structure Design, support up to 240W - Overclocking efficiency with Starcraft II design. LOT OF CPU HEATSINKS MANY! LGA1366 LGA2011 AM3 LGA1155 . Condition is Used. Shipped with USPS First Class Package (2 to 3 business days). Im not very familiar with everything here. So before you bet check fotos. I will probably throw in smth else. Thanks! 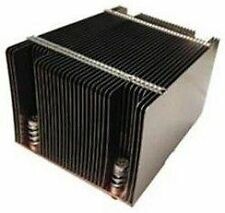 Copper Core Aluminum Heat Sink Cooler. Fan Speed 600 – 1,800 RPM ± 10%. 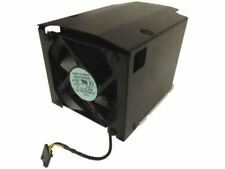 Fan Air Flow 19.8 – 66 CFM ± 10%. Fan Air Pressure 0.24 – 2.2 mmH2O. Fan Life Expectancy 160,000 hrs. Fan Weight 130 g. Bearing Type Loop Dynamic Bearing. Noise Level 8~24 dBA. The cooler’s installation requires an unobstructed space of 140mm(L), 126mm(W), and 159.3mm(H), with the CPU as a central reference point. The cooler overhangs the first two RAM slots. Fee equal as Expedited. This might affect you if you live in a rural community. your first choice for the best products, lightning fast. continue to strive to make Platinum Micro, Inc. parts, accessories, etc. for this Manufacturer Part Number.